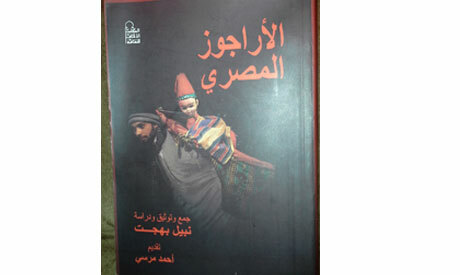 The dying art of puppetry is the topic of professor Nabil Bahgat's latest book The Egyptian Aragoz. The discussion on the book highlights a unique, if not the only study focusing on such perishing art forms at the opening ceremony of Egypt's fifth forum for Egyptian folk dolls held at Beit Al Sehemy premises. This special puppet was the treat for so many children in very common districts of Cairo. Upon hearing his whistle, people would gather around and an eager audience would cluster at windows to watch his endless acts. Aragoz was one of the default entertainments in children's birthdays in the eighties. Often confused with the Turkish Qara Qoz (black eyes) shadow puppet, the name of the wooden puppet usually dressed in red, is derived from Qaraqosh, the vezir during Saladin's reign in Egypt, who was known for his harshness and bad judgement. Aragoz, the protagonist in this mobile puppet theatre, was a perfect vehicle for Egyptian criticism and mockery of the government, politics and the social status quo during the vezir's time and beyond. Bahgat also states in his introduction, however, that some scholars contend that the name Aragoz has roots as far back as the ancient Egyptians, where Ara meant "to do" and Goz "words." Initially, Aragoz was made of wood as well as Aragoz's wife, the policeman and doorman either by an Aragoz puppet master such as Mohamed Farran who died 30 years ago, or by a professional carpenter, explained the study. With the diminishing of this art as television became the main source of entertainment, and the few performers left plastic dolls heads began to replace the traditional wood. This theatre was quite popular among children. Aragoz's voice was particularly unique, more of a metallic whistle-like sound created by al-amana (a metal device the Aragoz player holds in his mouth). Aragoz performances are an average of 18 acts ranging between politics and social issues. The acts usually start with singing, then conflict, dialogue between the puppeteer and dolls, leaning on archetypical characters and a simple storyline with a moral, the book describes. Bewildered by Aragoz, Bahgat set out on a quest to study and document this form of art based on his utmost belief in the importance of this cultural heritage and our capacity to revive it. In reaction to the modernity takeover and constant obsession with Western remodelling of numerous Eastern folk arts, Bahgat's task was not easy. "We already have means to express ourselves," was Bahgat's mantra as he launched his study and along with it his theatre troupe, Wamda (Flash of Light) to revive Aragoz and shadow puppets artworks by playing the classic acts as well as creating new plays using the same techniques. The study highlights the quest for documentation of this fading art form, showcasing all what's left from this oral heritage as well as the people behind the trade. One of the most unique aspects of this book is how it documents Aragoz scripts and the names of Aragoz performers. As he emphasises the importance of reviving Egyptian folk arts, Bahgat believes that they remain the key to human development; that we should deviate from Western cultural moulds and revisit our authenticity. "Our homes were once the place where we made our food, beverages and the toys we played with were all handmade, like kites, dolls etc..." wrote Bahgat. "It was our first means to be creative, productive and proactive in our own realm."